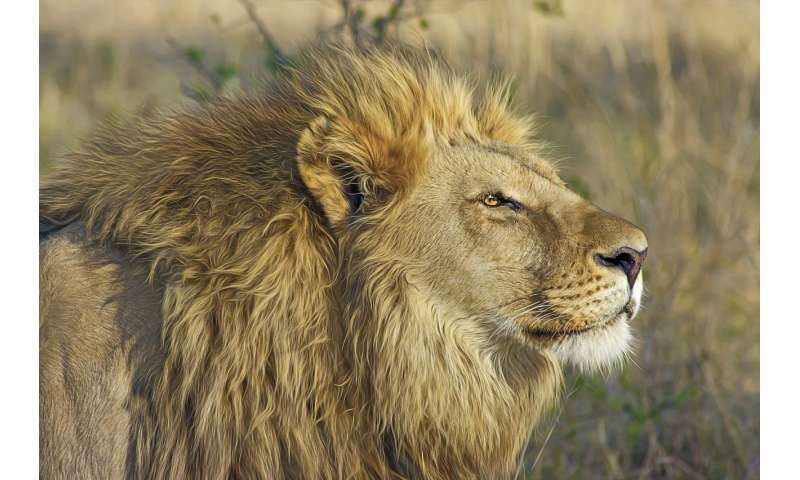 A team of researchers with members from several African countries, the U.S., Indonesia, the U.K and Australia has found that many areas in Africa meant to protect lions are failing due to lack of funds. In their paper published in the Proceedings of the National Academy of Sciences, the group describes their study of protected areas in Africa and why they believe it would take an infusion of over $1 billion annually to save them. Africa is a continent rife with countries in turmoil—in addition to civil wars, rampant poverty and the threat of global warming, many of the animals that are unique to Africa are dwindling in population, one of which is the lion. Many African countries have responded to threats to wildlife by designating certain areas as protected, where it is illegal to hunt, trap or harm wildlife. Unfortunately, in order for secure such areas, managers require funding to offer protective services. Without such funds, poachers and trophy hunters take a heavy toll. In this new effort, the researchers have studied 282 such protected areas and have found most of them to be severely lacking in funds—as a result, lion populations are dwindling. They note that over just the past 20 years, the wild lion population in Africa has dropped by 43 percent—there are now just 20,000 living in the wild. To learn more about what is going on with protected areas or parks in Africa, the researchers looked at the amount of funding each park received, how well it was doing in protecting the animals, and how much money would be needed to increase populations by 50 percent. After adding them all together, the researchers found that the parks together would need $1.2 to $2.4 billion to operate in a sustainable way. They note that currently, the same parks together receive just $381 million annually. The researchers suggest that tourism dollars might offer a solution, noting the success South Africa and Kenya have found when investing heavily in wildlife parks. Another possibility is foreign investment.